All the sounds we’ve learned through Jolly Phonics so far. This was a fun way to end our day. I promised Neko I would have a bath with her, but I asked her if she’d like to practice her letters in the bath. She was totally into it! 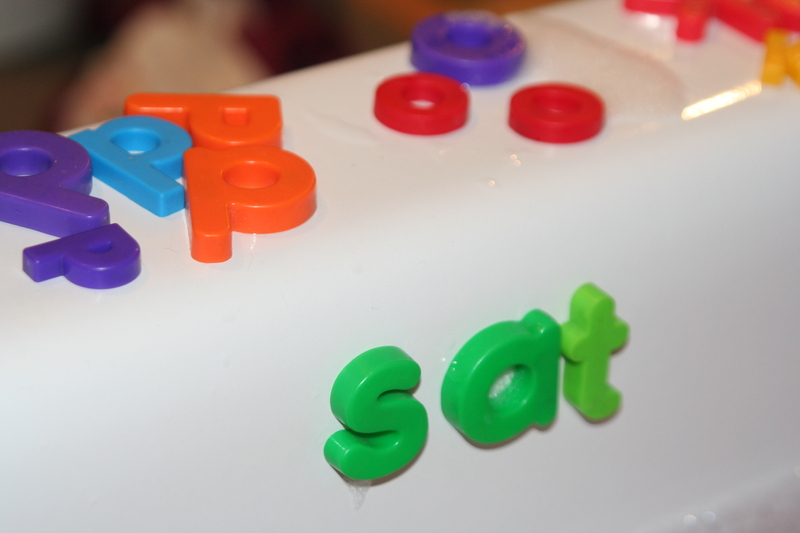 We took all the sounds/letters that we’ve learned so far through Jolly Phonics off the fridge – each magnetic letter we could find that fit the bill. I then grouped these by letter/sound and we proceeded to build short words. Praciticing phonics, switching out one sound at a time to form different words. We had lots of fun taking one word – say, “sat” – and then switching out one letter at a time to isolate the sounds and build new words. From “sat” we might go to “cat” then “cot” then “pot” then “pit” and so on. 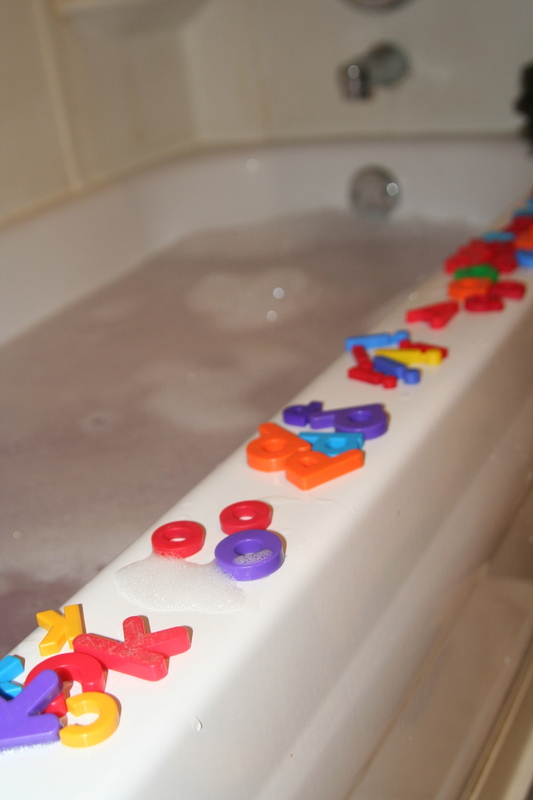 It’s such a simple thing – letters stuck to the side of the bathtub – but Neko really loved the combination of bath and magnetic letters to practice reading and spelling.